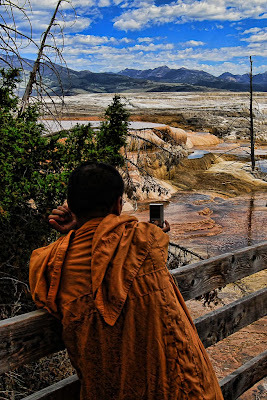 I really enjoyed watching a group of monks see the hot springs in Yellowstone for the first time. This is on the north end of the park and is fascinating to see how much it changes every time we visit. I love this one. Great colors and composistion. It definitly tells a story. I especially love the contrast between the monk traditional robes and the very modern camera.